This generates support from the public, private, non-profit and local sectors for any community initiative, which ensures that the project is sustainable over the long term. 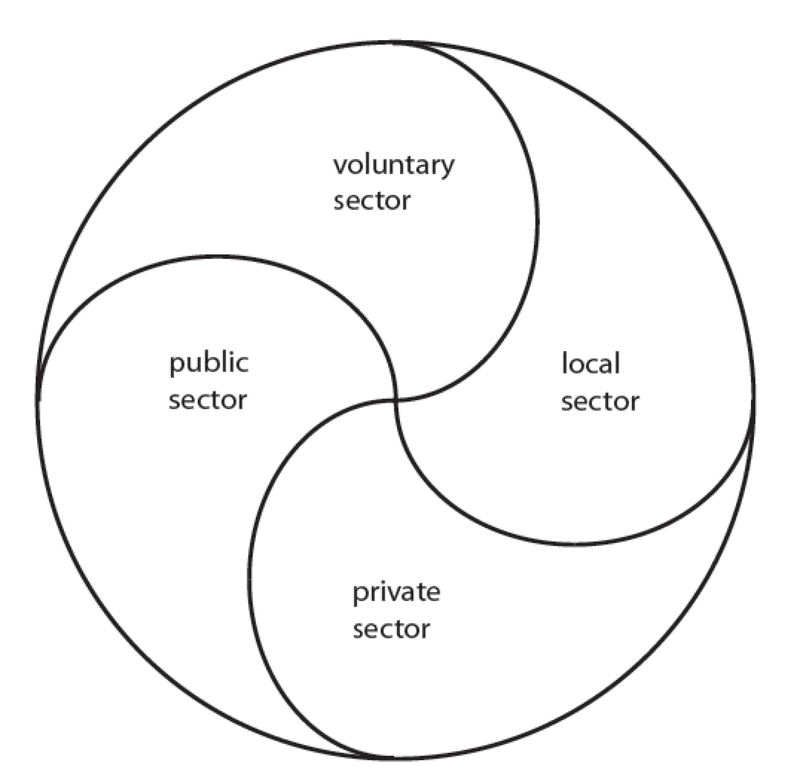 The result is a description of the role and mandate of each of the sectors. It takes about 45 minutes to do this and can engage many people, especially if diverse representation is present.